ODROID-X schematics has beed released now. List of schematics above link is as below. The format of schematics is PDF. Schematics of Exynos 4412 CPU Module will be available by email request to odroid@hardkernel.com with ODROID-X/X2 serial number which is printed on PCB. Please be noted that the serial number can be registered only once. We do not have any plan to open schematics with other format at this moment. There is a system console port in all of ODROID series to monitor the low-level information of target system. This is very useful and important tool for platform software development. The system console port uses UART(Universal asynchronous receiver/transmitter) of CPU for communication between your host PC and target board. Protocol is 115200bps / no-parity / 8bit / 1-stop-bit / No-flowcontrol as usual. You can use any tty terminal software such puTTY, minicom or hyperTerminal in your host PC. The UART of CPU has simple 2 signals Tx and Rx with a ground level for communication. Please note most of new comming mobile processors have 1.8V of IO voltage to minimize power consumption. In traditional design, there should be a RS-232C level converter MAX232 or MAX3232 or MAX3218 on board. Addtionally your Host PC must have a RS-232C port. Note that all of modern PC / Laptop have no built-in RS-232C port you have to buy a USB-RS232 converter. So this solution is expensive, uncomfortable and bigger footprint. Fortunately, there are many IC makers have introduced USB-UART bridge ICs. To meet the low voltage interface specification. 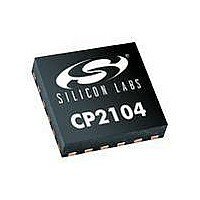 we chose the CP2104 USB-UART bridge IC from the Silicon Labs. You can find the datasheet of CP2104 and its drivers from this link. CP2104 has internal oscillator, LDO, Tx/Rx indicating LED drivers and 1.8Volt IO with reasonable price in 4mmx4mm package. 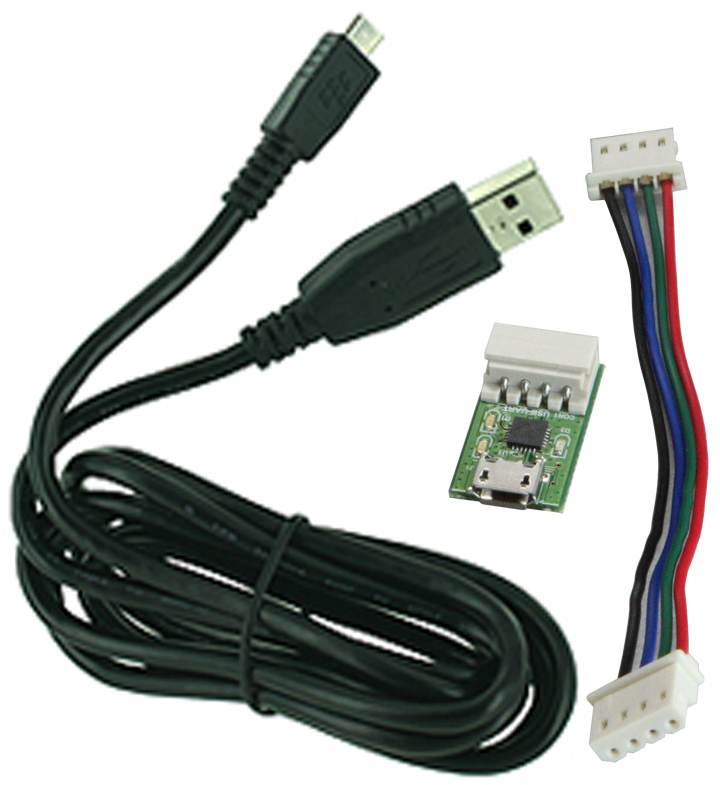 USB-UART Module kit contains below 3 items. Let's look into USB-UART board. You can find Micro-USB connector, 4-pin Wire-connector, USB-UART bridge IC CP2104 and 3 LED inticator on top side. D1 is Tx LED, D2 is Rx LED and D3 is power indicator. Note this board is powered by USB of host PC. On bottom side, there are some passive devices and USB signal conditioner of L1. Place the 4pin wire harness between USB-UART board and your ODROID-X/X2/U2/U3/C1/XU3/XU as below picture. 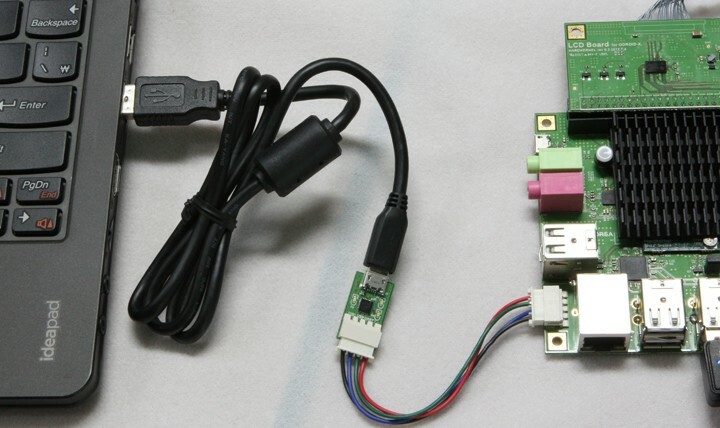 And place the Micro-USB cable between your host PC and USB-UART board. You can download proper device drivers for your host PC. Click "Tools" tab to get drivers for Windows, Mac and Linux in this link. I want to let you know some information of CP2104 device driver for your host Linux PC. If your host Linux PC runs Kernel 3.2 or higher, the CP2104 works without any addtional installation/compilation. Note Ubuntu 12.04 is based on Kernel 3.2. This is a USB-UART board for ODROID-Q model which also has CP2104. We call it "Debug board" from time to time. There are two different LCD module kits for ODROID-X. One is 10.1inch and the other is 13.3inch. Resolution and other characteristics are almost identical. Yes. The only difference is the dimension. Please note the 10.1inch model was all sold out. BTW, we have one news to whom have purchased 13.3 inch LCD Kit. We have tested 13.3 inch and 14 inch LCD modules together. 13.3 inch LCD price is lower but it's weak since the PCB is outside of LCD frame. 14 inch LCD price is higher but PCB is well located on the back side of LCD. So, we have decided to provide 14 inch upgrade version without any cost to whom purchase 13.3 inch LCD Kit. LCD Module kit contains below items. You might want to look into the interface board more closely. 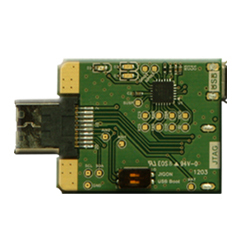 It has a RGB-LVDS converter IC and 3.3Volt step-down DCDC converter. We used TI's SN75LVDS83BZ and Ricoh's R1240K003B respectively. Here is a picture of top-side. This picture shows bottom-side and LCD connection. It's time to plug the LCD interface board into ODROID-X 50-pin connector. You can find the datasheed of LCD in this link. 10.1 inch LCD <== Click this. 14 inch LCD <==== Click this. Note: The LCD module may be a compatible product due to market condition. ODROID-X and ODROID-Q production has started this week. We will start the shipment from next week. Please refer to the below for the shipment schedule. - After all : in two weeks after your purchasing! The delivery takes around 3-5 days after you receive the tracking number. But, it depends on your country's customs process. The tracking number will be sent via paypal linked email or Fedex system. Please check your order's delivery status after you get the tracking number here. The pictures of production line are below. 1. First stage of process. The machine is "Solder cream printer". 2. SMT machine: Mouting devices on the PCB. 3. Entering into reflow soldering machine. 4. SMT soldering is done. Ready to inpection process. * Note: Each board has 2x2 array of actual PCB to increase the production efficiency. 5. X-ray inspection to check soldering quality. The PCBs will move to another soldering machine for various connectors after inspection process. And then we will perform all the functionality tests.